When the stomach lining gets eroded, inflamed or irritated, we are said to be suffering from acute or chronic gastritis. This is caused due to stress, excess alcohol consumption, frequent vomiting and long term usage of anti-inflammatory drugs like aspirin. Gastritis is also caused when the Helicobacter pylori bacteria infect the stomach, bile reflux, viral and bacterial infections or pernicious anemia. Doctors identify gastritis through symptoms, various tests or an endoscopy. Common symptoms include abdominal bloating, indigestion, nausea, chronic diarrhea, hiccups, loss of appetite, burning sensation in the stomach, black stools or vomiting blood. Gastritis must be treated immediately for otherwise it could cause ulcers and increase the risk of contracting stomach cancer. Gastritis is treated with a combination of drugs depending on the cause and the right diet. Turmeric contains curcumin which is a polyphenol with anti-inflammatory, antioxidant, antibacterial and antifungal properties. It can lower inflammatory enzyme levels in the body and even improve digestion by helping bile production by the gall bladder. Since it is an antioxidant, it can protect the body from cell damage caused by free radicals. This herb has been used for centuries in Ayurvedic and Chinese medicine to treat gastritis for it can reduce stomach acids and prevent inflammation of the walls of the intestines. In a 2001 study on the effects of curcumin on gastritis and peptic ulcers, it was found that it could relieve symptoms of gastritis within a couple of weeks. 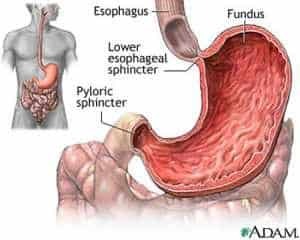 The study was conducted on 24 male patients and 21 female patients in the 16-60 age groups with peptic ulcers. 7 female and 18 male patients underwent endoscopies to locate their ulcers, size, etc. The patients were given 300mg of capsule-filled turmeric powder five times a day. The results were studied after 4 weeks of treatment. In 12 cases, the ulcers disappeared after 4 weeks, in 18 patients after 8 weeks. The remaining 20 patients had no ulcers but seemed to suffer from gastritis, stomach erosion, and dyspepsia. These patients were given a 4-week course of turmeric capsules. Their abdominal discomfort and pain subsided and they could eat normal food. 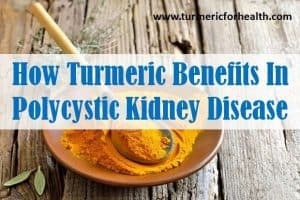 There were no side effects after taking turmeric with all patients having normal renal and liver functions. The Helicobacter pylori bacteria cause peptic ulcers, gastritis, and gastric cancer. Treating it can be difficult with many available medications failing to ease symptoms. Curcumin diferuloylmethane seems to inhibit the growth of H.pylori. An in vivo study of 65 H.pylori clinical isolates was studied when being treated with curcumin. It stopped the growth of all the H.pylori strains. Mice infected with H.pylori were given curcumin. 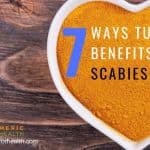 It was effective in eradicating the bacteria and protecting the mice from gastric damage. This study shows the potential that turmeric may have in treating H.pylori infection and diseases caused by it like gastritis. The H.pylori bacteria are known to cause most of the GI infections affecting a large section of the population. Hence, there are many studies on various therapies that can protect us against infection from these bacteria. Eradication of H.pylori could especially help prevent gastritis caused by duodenal peptic ulcers. Since many strains of these bacteria are resistant to conventional treatment, new methodologies are required. Hence an in vitro study was conducted on the uses of water and ether extracts of cinnamon and turmeric on 5 H.pylori strains. 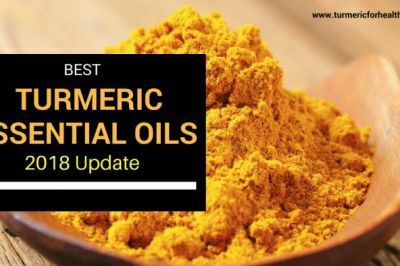 Water extract from turmeric plants showed the most potent antibacterial effects. An international study was conducted on 6 strains of H.pylori in patients with peptic ulcers. 25 medicinal plants were selected and an aqueous extract of each was obtained. Turmeric was the most effective, killing 100% of H.pylori within 15 minutes of administration. In another study, the stomachs of laboratory rats were ligated to cause gastric hyperacidity. Now, symptoms of gastritis appeared and the rats were given doses of turmeric and ranitidine. Ranitidine is usually used to treat heartburn, duodenal and gastric ulcers. The rats were not fed but given water for approximately 18-24 hours. They were then given plain saline water, water extract of turmeric or ranitidine. Their stomachs were carefully examined after the test period for ulcerations. Saline water did not prevent hyperacidity. However, both the groups given ranitidine and turmeric had reduced hyperacidity. 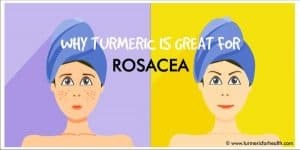 This could be because of the ability of turmeric and ranitidine to suppress histamine receptors H2R. Turmeric usually does not create any side effects and could benefit the treatment of gastritis. A 2004 study found that curcumin could prevent cellular processes vital to the growth of H.pylori bacteria. This gram-negative bacterium can cause gastritis, ulcers and even gastric adenocarcinoma. H.pylori causes a cell scattering or motogenic response that can activate pro-inflammatory cytokines and transcription factors and result in the death of epithelial cells. The study found that turmeric was able to block this mitogenic response and could be effective in treating H.pylori. Various natural products like omega-3 fatty acids, curcuminoids, black seed oil, and omeprazole – a synthetic medication – were tested on gastritis. While omeprazole helped with gastritis, there were certain side effects. However, a combination of the three natural products taken for 3 weeks normalized gastric mucosal activity and may be used in the future to treat gastritis. There is no particular prescribed dose of turmeric defined for gastritis. 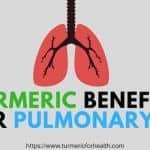 Based on the studies and reader’s reports we have summarized various ways of taking turmeric which could benefit from this disorder. For low stomach acidity, indigestion, dyspepsia or heartburn, the recommended dosage of turmeric is 500mg four times daily. This was concluded after a study that found turmeric is a carminative agent that can relieve indigestion. This is one symptom of gastritis. 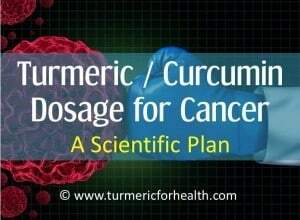 The standard dosage of turmeric powder is 400-600mg thrice daily, of cut root – 1.5-3g daily, dried powdered root – 1-3g daily and fluid extracts – 30-90 drops daily. Turmeric supplements taken in excess could cause indigestion, diarrhea, nausea or dizziness. Turmeric spice used in food is safe for anyone to consume. 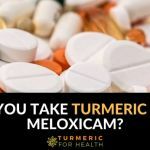 Those with gall bladder problems, pregnant and breastfeeding women, anyone needing surgery and diabetic patients must avoid turmeric supplements. Always consult your doctor for the right quantity to use for gastritis. Hi I was diagnosed with chronic erosion gastritis and I have bought 500mg of turmeric capsules will this cure my gastritis and the nausea as I have been suffering badly for over a year now.? Curcumin should help relieve gastric inflammation. Turmeric supplements should be taken after a meal. However, some individuals do report increase in acid reflux symptoms with turmeric. Taking them immediately after a meal should reduce acid reflux symptoms. Please consult your doctor as well. I have autoimmune atrophic gastritis/pernicious anemia and would like to know which supplement is recommended as I am confused. Should it be turmeric and curcumin combined or just one or the other? Thank you! Hi. You can check Curcumin with Bioperine supplement. These contain standardised 95% curcumin with bioperine and some even contain whole turmeric root powder additionally. Please consult your health practitioner before taking turmeric supplements. I have been diagnosed with Chronic gastritis and intestinal metaplasia. 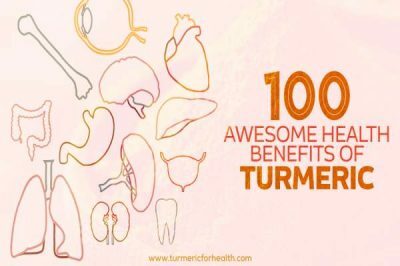 Can tumeric help? Currently taking rabeprazole in the morning and domperidone 8 hourly. Hi. Curcumin can help in gastritis and intestinal metaplasia. For preventing progression of intestinal metaplasia, you may need to take curcumin supplements. Please confirm with your doctor. Start with small doses and increase gradually over weeks. Avoid taking the supplements on an empty stomach. About turmeric in diet, You can take Golden Paste. Start with small doses such as 1/4-1/2 tsp and if you see no side effects then increase the dose gradually to 1 tsp 2-3 times a day over a few weeks. Best taken with food to avoid acid reflux. Avoid taking it at the same time when you take meds. 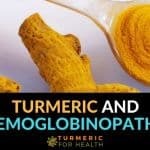 I am curious how did the people take the turmeric in the study? Was it by golden paste or by capsule? My stomach is bothering me way too much for a spice right now… Will capsule form work? If so how much? The study also mentions both tumeric and cut cumin which is better? Hi. 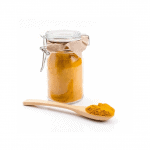 Studies use curcumin supplements and not Golden Paste. You can opt for supplements if the spice does not suit you. Please consult a health practitioner prior. Also start with small doses and take them after meals to avoid acid reflux. Avoid taking them close to the time of taking medicines, maintain a 3-4 hour gap. Can turmeric (spice not pill) be used in my morning oatmeal if I sometimes take Zantac in the evening? Are there side effects if this is done? Thank you. Hi. It is safe to take turmeric in the morning when you are taking Zantac in the evening. Start with small doses to mitigate any gastric side effects. Can you do the Golden paste at night and the Mastic gum in the mornings? HI, i have been suffering from H.Pylori associated Gastritis for the last 9 months. Which turmeric brand in India I can take . I have gall stones as well . Surgery is planned. 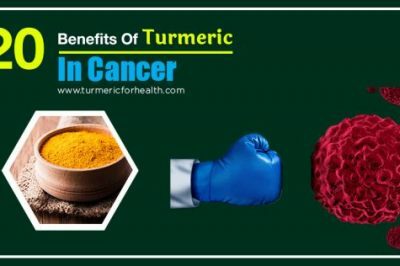 Can i take Turmeric without any worry. Hi. 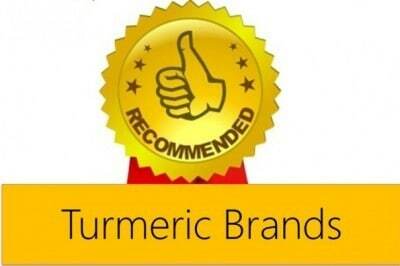 India has many good turmeric brands available in the market; there is no such specific brand that we have shortlisted but the one you use for cooking can be taken therapeutically. Turmeric in diet is fine but if taking for a therapeutic purpose then we would suggest taking it after surgery. If you have H Pylori this can create gallbladder problems. If you can cure the H Pylori you may not need gallbladder surgery. Hi. Your daughter is too young to consume spices in diet. Child should be at least of 8 months to 1 year to include turmeric in his or her diet. How to take tumeric for gastritis? You can take Golden Paste. Start with small doses such as 1/4-1/2 tsp and if you see no side effects then increase the dose gradually to 1-2 tsp 2-3 times a day over a few weeks. Best taken with food to avoid acid reflux. Avoid taking it at the same time when you take other meds. I AM SUFFERING FOR GASTRITIS AND ACID REFLUX AND IM TAKING OMEPRAZOLE BEFORE BUT STILL THERE. 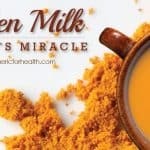 IS IT SAFE TO DRINK BLEND TURMERIC? MY FRIEND RECOMEND ME ABOUT TURMERIC THAT HELPED HER ALSO WITH HER GASTRITIS. 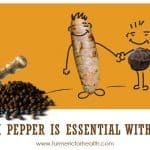 For Chronic gastric inflammation,( IBS and IBD) how much turmeric roots should I take? Fresh turmeric root can be consumed as about half an inch piece daily for general health benefits. 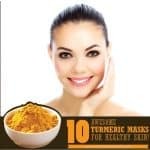 You should consider taking turmeric powder in the form of Golden Paste to soothe the inflammation. Good day, how do use tumeric to heal hyperplastic polyp? Hi. 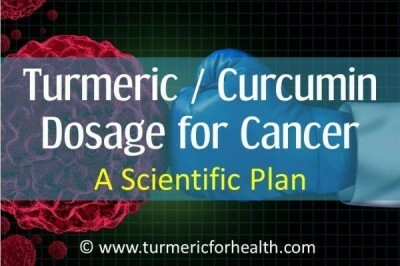 Turmeric and its active ingredient work as cancer preventing agents and help in healing intestinal polyps. Best taken with food to avoid acid reflux. Avoid taking it at the same time when you take other meds. Your condition may require you to take curcumin supplements. Discuss this with your health practitioner. You can still take Golden Paste (1-2 tsp 2 times a day) when taking supplements. Who recommend it. Doctors are thirsty of money and comission from brand. Had Helicobacter Pylori Infection 6 years ago and was treated with Antibiotic . How long should I take Turmeric ( Golden Paste ) to get rid of the Infection ?? Golden Paste is not just a curative technique; its a preventative measure. People take it even when they are disease free. You would have to take it at least for a month and based on reduction of symptoms and improvement you can judge what to do next. 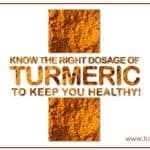 You are so right, will take Turmeric from now on on a daily basis, prevention is always better ! Turmeric can definitely help with inflammation. But we would suggest having small doses say 1/8 or 1/4 tsp of Golden Paste and that too with meals to avoid chances of reflux. As you see improvement you can increase the dose. Advances in mechanisms, diagnosis, and treatment of pernicious anemia. Rojas Hernandez CM1, Oo TH1. Hi. I have just been diagnosed with pernicious anaemia. 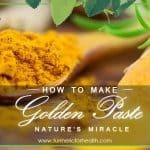 I take turmeric (golden paste) daily and wondered if this will be helpful or a problem? 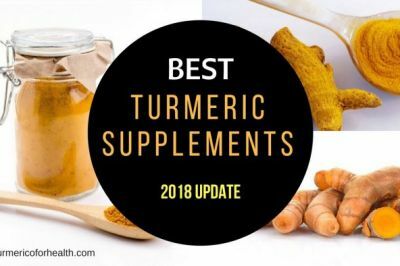 Turmeric Powder or Supplement - Which is Better?